My first to La Campagne Tropicana was quite terrible. It was so bad that, even after driving for 2 hours to get there, I chose to head back home rather than subject myself to the poor service I received from one of the establishment’s managers. 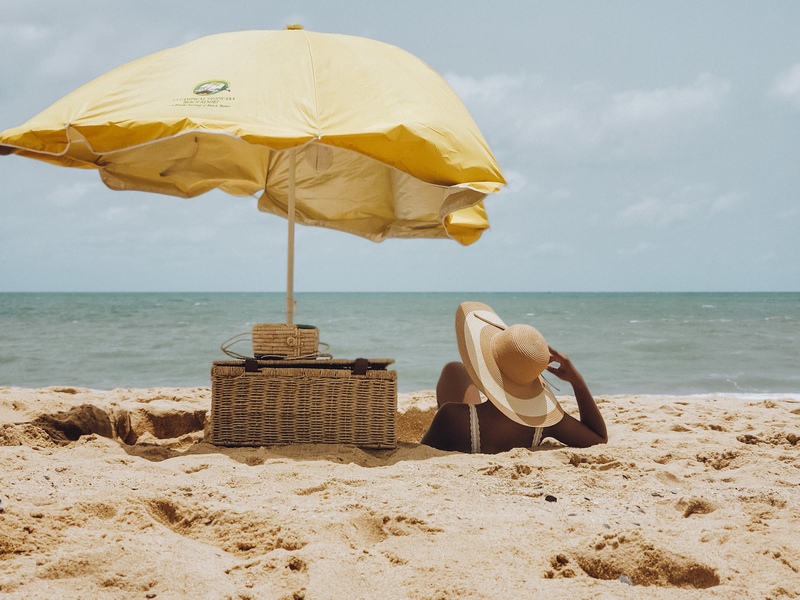 Luckily though, I found myself in Eleko Beach while heading back home, and as I mentioned in this post, I ended up having a better time there. After boycotting the resort for a while, I decided to visit again. My choice was mainly influenced by both Unravelling Nigeria and Enefa’s visits. I was also looking forward to a nice, relaxing beach getaway with Mark. 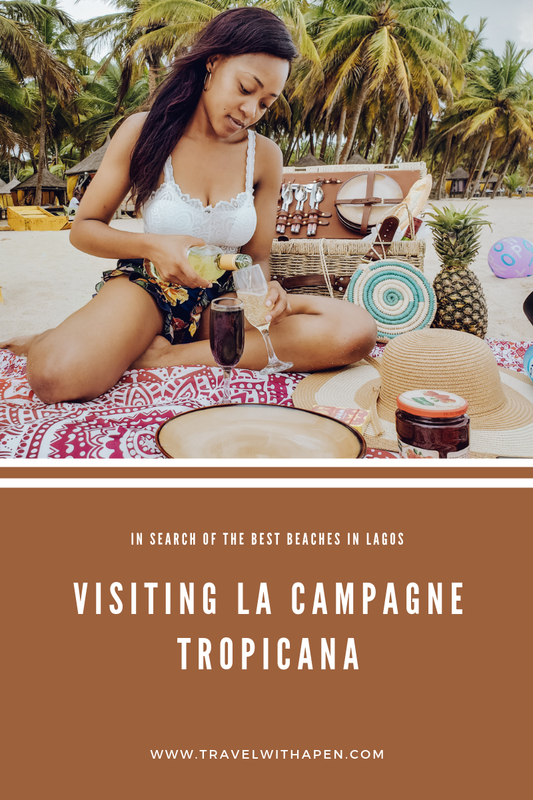 There are only so many beach resort options in Lagos, so naturally, La Campagne Tropicana fell on my radar again. We decided to test the waters by opting for a day trip and luckily, this visit was so much better than the first. 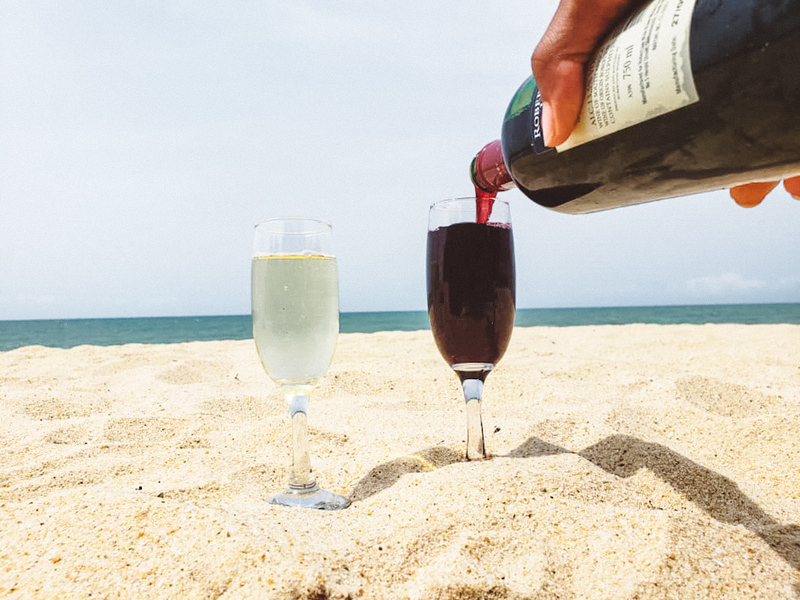 We arrived at the resort on a Saturday morning after a 2-hour drive from Lagos Mainland. Our onward journey was traffic-free, however, we spent an extra hour in traffic on the way back. When we arrived at about 9 am, the beach and resort were already bubbling with activities and people. We managed to find a fairly quiet spot to set up after paying the entrance fees required for day trippers. It cost us ₦5,000 plus an extra ₦1,000 since we brought our own food. We spent the rest of our time lounging on the beach, taking plunges in the pool and challenging each other to a game of football and basketball. It’s safe to say that you already know who won. Me. I won. No, seriously, I did. At some point, the owner of the resort invited us to try out the beach chairs they had dug out in the sand. I challenged him about the no-camera rule and he gave a few reasons why the rule was put in place. I didn’t exactly agree with the reasons but I thought it best not to argue further. Overall, we had a pretty good time at La Campagne Tropicana. I loved that the beach was clean and kinda quiet. At first, there was fairly loud music playing but I guess they turned it down at some point. I also loved the little showers they hung to some of the trees. The traffic on the way back was a huge downer to the whole experience but Mark and I both agree that we would visit again if we had the chance to. Only, the next time, we would probably go on a weekday and stay the night. Good to Know | Only phone cameras allowed. Hi there! I’m Amarachi, a systems engineer by day and super hero writer by night. 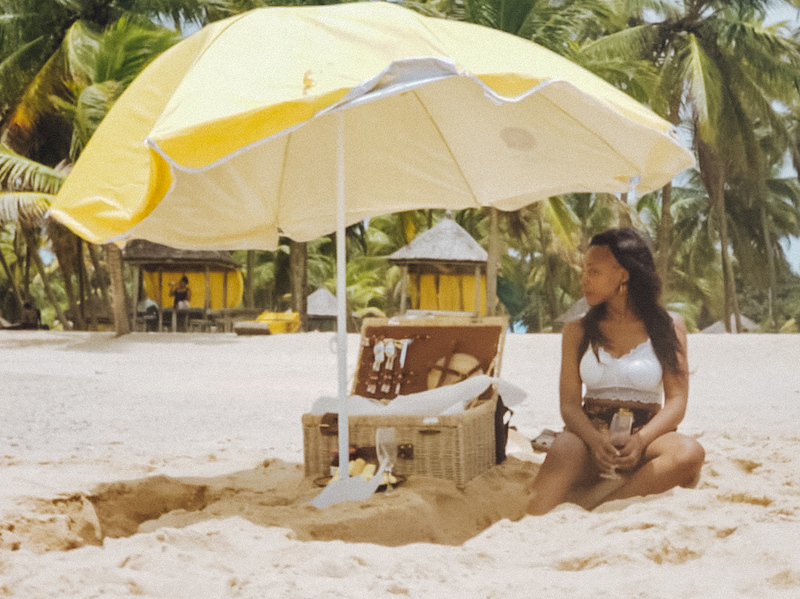 I love to travel (obviously) and hope to inspire you to create your own adventures too! You’re too kind, Tobe 🙂 Thank you! I don’t understand why so many places that are supposed to be attractions here don’t allow cameras. And this is any kind of camera – not necessarily the high-tech ones. It doesn’t make any sense. All content and images used on this site are mine, except where expressly stated. I require that any non-commercial use of my images be accompanied by an appropriate photo credit and a link back to my website. If you’ve found any resources on Travel with a Pen useful, please consider making a donation. This goes a long way in keeping the blog running and making more impactful travels. Thank you, in advance for your kind donations. travel with me on IG!